I thought the pen was a great idea but I didn't find it worked well at all. I'm not sure if it had dried up or not - but I found very little oil coming out of the applicator tip and therefore it was ineffective. I switched to the oil and am very pleased with the results. Easy to use and comes out well, but not in excess. Easy to use and works well. Highly recommended. Love the convenience of this pen. Neem oil really has helped with my dry and peeling cuticles. I put it on at night and the oil quickly absorbs and isn't messy. I'm trying to go with more natural nails versus the gel or polish so this pen is helping to keep my nails looking nice. I love this neem oil! The oil makes the cuticles supple and the wooden tip helps keep the cuticles from encroaching on the nail. I love, love, love the ingredients in this product! Dr. Hauschka is great for sticking to REAL ingredients and nothing artificial. Can't wait to order again! I like this nail pen - I have used it regularly for some time, and find my nails look better and seem healthier when I am using it. It is easy to use, which helps. The drawbacks: It is hard to know when it is running out; they give you a few replacement tips with it to use, but sometimes those seem to wear out before the contents of the pen are used up, and it isn't clear when I should replace a tip (other than when it looks "used". However, for the price, it works wonders. It's fine, but subtle. I prefer using the lip balm on my nails. I got this as a gift, and busted this stuff out when my mother was up. She's late 70's and her nails have pronounced ridges. I gave us both manicures, but spent extra time massaging her nails and nail beds with this stuff. When I was done there were far fewer dry white cracks, and the thin skin around her looked healthier. She said thumbs up, too. I've been using this for around 5 years and when i have occasionally strayed I'm always disappointed. I have very dry and fragile cuticles but this is completely portable and doesn't get oil everywhere so I can keep one in my purse and use whenever I need. 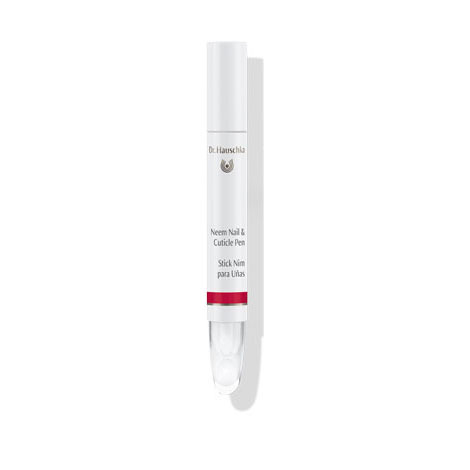 The felt tip gently pushes down cuticles and the oil eliminates white or torn skin so its like an instant manicure. I couldn't live without this!!! I was very skeptical about this product. However, after just a week I could see and feel a real difference. So, it will only get better with continued use. 5/15/16 I have tried in vain to receive the oil to my cuticles. All in vain. Did get an email from corporate to operate but no results. No instructions on pen or with pen. For price, I am deeply disappointed in lack of results from pen. Hi Jean. I'm sorry you're having trouble with the pen. If you're finding that no oil is coming through the tip at all, please return it to the retailer where you purchased it. Also, keep in mind that you will not see drops of oil coming from the pen---it will release a very thin layer across the nail---just enough to do without wasting any product. You should see a light sheen across the nail when the oil is applied, which will be absorbed by the nail. I hope this information helps and, again, I apologize for the difficulty you're having with the pen. I have used this item for over a week now and I guess I thought I was buying something different. My cuticles are extremely dry and when I use this item, in about 30 minutes it is as though I had not done nothing. I hate to say this is a bad product because I am sure it is a good product, it just isn't helping me with my cuticle problem. The product is distinct from others on the market in the U.S. Most cuticle protection products have brushe applicators; you need to slop on a gelid oil with the brush. The neem oil pen can be used when you need to keep oil off of objects you're working with. However, the tips foul quickly; you need to make replacement packs available online. I am disappointed in the product. I am having trouble getting the liquid out of the pen. When it finally comes out, it is fine. No instructions and the tube doesn't squeeze. There is nothing to turn to get the liquid. I have it sitting upside down and that helps, but would like more liquid to put on nails. Hi Kay. Only a very small amount of the oil is needed for the nails, just enough to give it a sheen. That may not seem like much, but more than that isn't necessary and would just be wasted as the nail will only absorb so much at one time. The product is very hard to get to come out of the opening designed to apply it to your cuticles. It should flow more freely. I have purchased 4 of these Neem Nail and Cuticle Pens over the past three years. I keep one in my purse and now have added a second by my computer. I use it whenever my cuticles are dry which historically has been a problem for me. I find that this product prevents my cuticles from becoming so dry that they crack and hurt. The convenient delivery through the pen makes if easy to carry and use. Plus there is no waste or danger of spilling the expensive neem oil. It is very effective and I recommend it highly. Apply to clean nails and cuticles. Gently trace the curve of each cuticle with felt tip to dispense oil. The beveled edge of the cap can be used to push back and shape cuticles. To replace applicator tip, pull out old tip and firmly push in flat end of new tip. Also available as Neem Nail & Cuticle Oil in bottle with pump dispenser.